It was 2010 when the idea first hit. Filmmaker Juan Carlos Pineiro Escoriaza received a phone call from an old friend. It was Paul Griffin, founder of the Possibility Project in NYC,a nonprofit organization that works to empower youth. Each year, a group of young people who have experienced foster care come together to write and create original musicals, in which they bravely recount their lives. But this time, the two dreamed of telling each youth’s story through a completely different medium. From that moment on, he began what he calls “the most triumphant and difficult experience I’ve ever had in my life,” as director of the film “Know How,” a musical based on real events, written and acted by foster youth. In order to create the script, Juan Carlos sat down with each main actor, asking them to describe stand-out moments in their lives. What came out of this process, he says, was pure authenticity. Every word and circumstance was based on true events. This wasn’t just a script, it was a chronicle of real heartbreak and loss, success and progress. Once the stories were pieced together, it was time to bring those ideas to life. The crew traveled all throughout New York City to over 20 locations, choosing places that would most closely resemble where the actual stories took place. It was a labor of love, with many roadblocks along the way. There were times, he says, when the project seemed nearly impossible to finish. Each scene was incredibly personal for the actors, particularly for main actors Niquana Clark (Addie), Gabrielle Garcia (Eva), Ebonee Simpson (Marie), Claribelle Pagan (Megan), and Gilbert Howard (Austin). 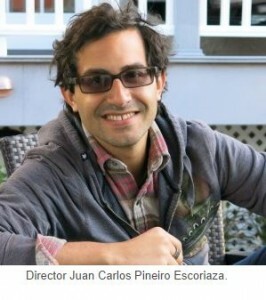 Juan Carlos says he hopes the film sheds light on the foster care system in a way that’s never been done before. The film has been nominated for several prestigious awards, including the Broader Vision Award at the Garden State Film Festival and the Award of Excellence at the Canada International Film festival. It will be screening in Atlantic City, N.J., on April 5, and at the Arizona International Film Festival from April 11-17. To find a screening near you, or to find out how to host a screening of the film, visit www.knowhowmovie.com/watch_the_film.